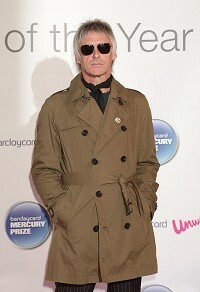 Paul Weller is to support Kings Of Leon at their Hyde Park gigs. The modfather will join the US band as their special guest at the two shows in June, which will be his only UK performances in 2011. "I'm really looking forward to playing the two nights in my home town at Hyde Park with the Kings Of Leon. They will be the only shows I'm doing for the rest of this year so we'll make sure they are top!" he said. White Lies and country rockers Zac Brown Band will also take to the stage on June 22 and 23, ahead of the Kings Of Leon.